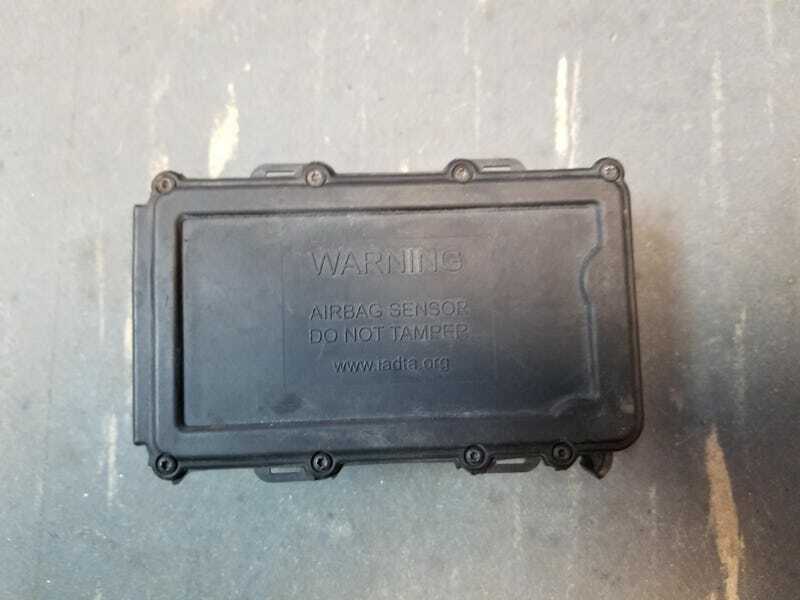 Notice Anything Strange About This Airbag Sensor? Scroll through these pics and see if you can figure it out. It was just chilling on the frame. No wires going to it. The antenna port had a rubber cover on it. Says air bag sensor but this was a used Yukon with 170K miles on it. Has 4 super strong magnets to mount it. Didn’t have any wires coming or going to it but it looks like it has an antenna port. Under the cover is a mini USB, a couple LEDs and 3 buttons. One looks like a power, one a reset, and one a mode switch. The lights flash different when touching each one. Hooked it up to my PC but the PC didn’t recognize it at all. It’s not an airbag sensor. It’s a GPS tracker. What is this weird sensor on my car? So, mystery solved... except that its presence raises even more questions for the Yukon’s owner. Very suspicious indeed.